Rent Holiday Inn Westbury | Corporate Events | Wedding Locations, Event Spaces and Party Venues. The Holiday Inn Westbury is an independently owned and operated IHG Hotel. The Hotel offers its guests 152 guest rooms and suites, which includes 57 King Bed rooms and 95 Two-Double Bed rooms. Welcome to Long Island New York and the Holiday Inn Westbury hotel. We are located in the heart of Nassau County close to Midtown Manhattan, across the street from Roosevelt Field Mall, and a short ride to North Shore's Gold Coast and South Shore's Jones Beach. Convenient to all major highways, the Holiday Inn Westbury is less than 20 miles from JFK and LaGuardia airports and a 10-minute walk to the Long Island Railroad Station's direct rail service to New York City. For those traveling to Long Island for business, the Holiday Inn Westbury has one thing in mind, which is your comfort and convenience. The Holiday Inn provides corporate business guests with complimentary WiFi, an on-site 24 hour business center, a work desk in each guest room with a comfortable swivel desk chair, an ergonomic desk lamp with multiple outlets, an on-site 24 hour fitness center and an outdoor pool amongst a well-manicured garden courtyard (seasonal/weather permitting) for complete rest and relaxation. In addition the Hotel has the Sporting News Grill, which provides American fare for breakfast, lunch, dinner and room service year-round. Outdoor courtyard dining is also available on the Restaurant’s courtyard patio. The Holiday Inn Westbury – Long Island’s events page has been designed and added to give guests some information regarding various events that may be taking place throughout Long Island. The Hotel may also list various events it may be hosting that are open to the general public, along with events it may be participating in. 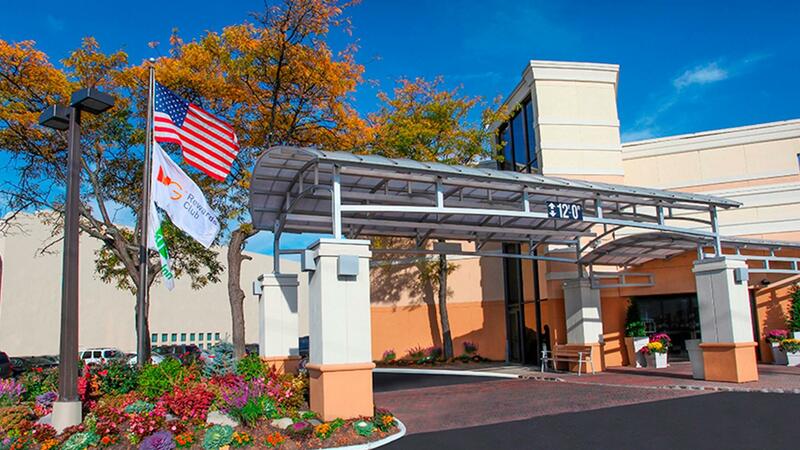 No matter what type of event may be taking place or where it may be taking place on Long Island, the Holiday Inn Westbury – Long Island’s convenient and central location puts you in the center of it all.